It is the mission of the Core Service Agency (CSA) to provide the consumer with the highest quality, most cost effective services to meet their mental health needs. CSA is attempting to make mental health services accessible to all populations regardless of social stigmas or financial barriers. The Calvert County Core Service Agency (CSA) is responsible for planning, managing, and monitoring public mental health services at the local level. 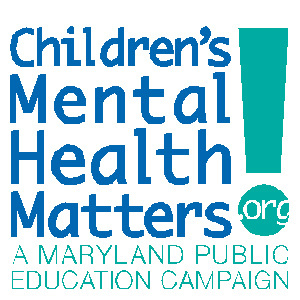 The CSA exists under the authority of the Secretary of the Maryland Department of Health and is an agent of county government, which approves the CSA's organizational structure. The CSA assures that a comprehensive range of services are available, accessible and affordable, including: evaluation, diagnosis, treatment, case management, rehabilitation, community support, therapeutic foster care, supervised housing, emergency services and crisis intervention. Monitors the contract with the Administrative Service Organization, Value Options. You can call Value Options at any time of the day or night 7 days a week. They will arrange for the right type of service to meet your needs. During business hours, you may call or walk into any Public Mental Health System provider in your area to request services. Your Managed Care Organization (MCO) or Primary Care Physician can refer you to Value Options for mental health care. If you are not sure what to do, just call Value Options at 1.800.888.1965. This call will provide access to all services, 24 hours a day, any day of the year. On Our Own of Calvert County, Inc. (OOO) is a private, nonprofit organization offering peer support advocacy, wellness and recovery. There is no charge for their services. They are operated by and for the consumers of mental health services. OOO of Calvert offers social support, advocacy training, family outreach, wellness and recovery and empowerment in the areas of rights, responsibilities and self-image. They can be reached at 410.535.7576 or onourownofcalvert@verizon.net. A consumer of the public mental health system may file a grievance with the Calvert County CSA concerning any issue regarding treatment. The consumer may also file an appeal to the CSA concerning denial of treatment.